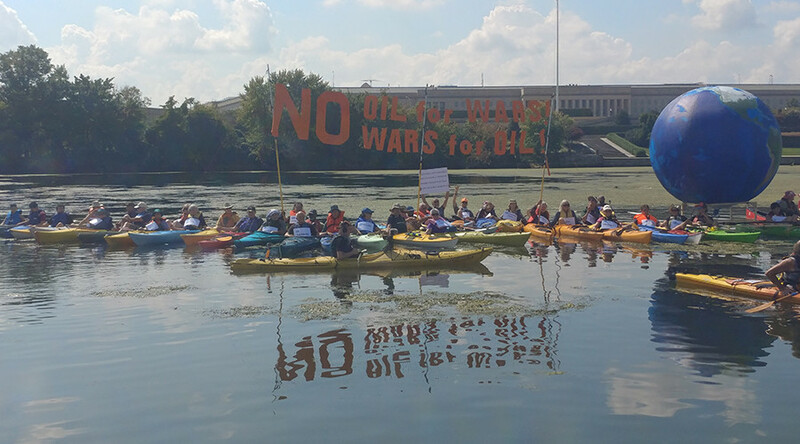 Several dozen activists paddled their kayaks outside the Pentagon to protest the US military’s pollution of water and use of fossil fuels, which they claim is destroying the planet. Gathering in the Boundary Channel of the Potomac River, just east of the Pentagon building in Arlington, Virginia on Sunday, the kayakers held aloft signs that spelled out “Stop War on Planet” against the backdrop of a giant globe balloon. Swanson pointed out the paradox that the Pentagon hosts the US Department of Defense. Swanson called the Pentagon “a criminal and immoral operation” eating up about a trillion dollars a year. A fraction of that “could do wonders around the world” if spent on sustainable environmental policies, he added. The DOD is ranked third as a polluter of US waters and ranked 69th as a superfund polluter, according to Swanson. The significance of the water protest was because the Pentagon sat on tidal waters that “are rising with the waters of the globe,” Swanson said. Each of the kayakers was named after a toxic chemical among them: arsenic, anthrax, polyaromatic hydrocarbons to radioactive sulfur, which the group claimed had been dumped in the Potomac River from six military sites. The Pentagon's environmental office has recorded 39,000 contamination sites, including 900 of the 1,200 Superfund sites listed by the Environmental Protection Agency (EPA). These are usually abandoned military facilities and test sites. John Miller, an activists and tourist from New Zealand currently living in Finland, called what America is doing very unsettling to the rest of the world. The country has lost a lot of goodwill over the last couple of decades, he said. Under the Obama administration, the Pentagon set a goal of obtaining 25 percent of its energy usage from renewable sources by 2025. 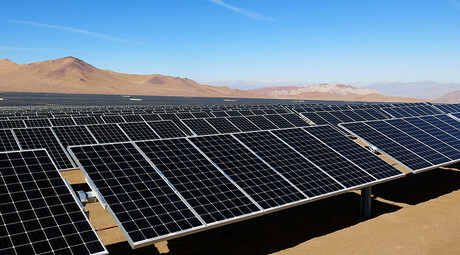 This included building a 210-megawatt direct current solar facility in Arizona, intended to provide a third of the energy needed to power 14 Navy and Marine Corps installations in California. The Pentagon has not responded to RT’s requests for comment on the kayak protest or an update on the status of the renewable power initiative. Many of the activists will be back in Washington on Friday for the “No War 2017” conference at American University. The roster of speakers includes Medea Benjamin from Code Pink, journalist Seymour Hersh, whistleblowers Daniel Ellsberg and Edward Snowden (by video) and special guest, military whistleblower Chelsea Manning.